William James Breakey Lansing, Ontario, Canada introduced the Breakey Apple at Morden, Manitoba in 1935. It is a seedling of Calville Rouge. 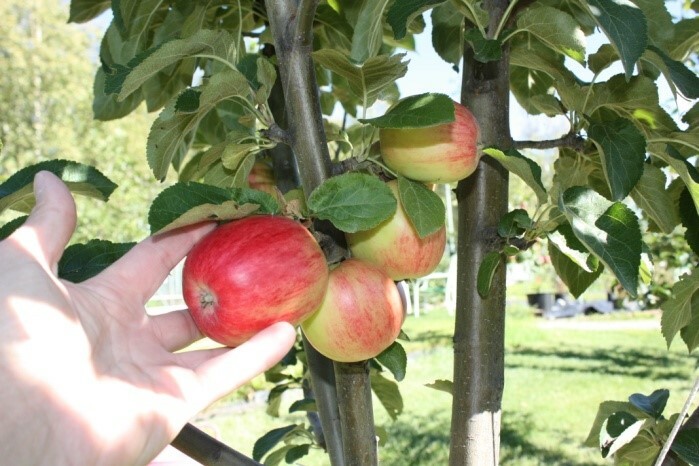 The Breakey Apple produces a tree that is upright, vigorous, hardy and productive, with extra large flowers producing an ornamental plant in spring. Flesh whitish, fine textured, very juicy, mild, smooth textured, mildly sprightly and spicy. A good dessert fruit. It is excellent for eating out of hand and good for cooking. Good resistance to fireblight.